She’s so furry and pretty now. Koncel had lost nearly every hair on her body — and unfortunately, her owner didn’t know how to help the 10-year-old dog. Koncel’s owner was an Indonesian man named John who lived with his wife, daughter and mother-in-law near the village of Tanjung Naman on the island of Sumatra. John earned a small income on a local plantation, and Koncel would faithfully accompany John to work every day. But when Koncel got sick, everything changed. She became lethargic, stopped showing interest in food and found it harder and harder to go to work with John. 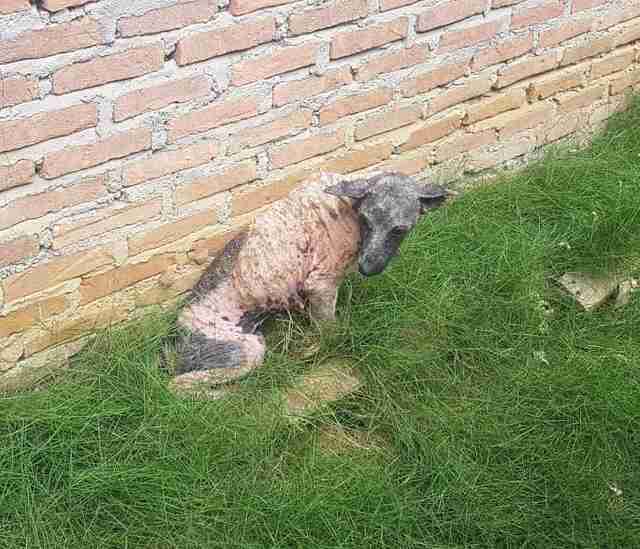 She also lost her fur, and her skin became hard and scabby. John desperately wanted to help his dog, but all he could obtain was some local traditional medicine. Sadly, this medicine didn’t do anything to help Koncel, who continued to suffer. 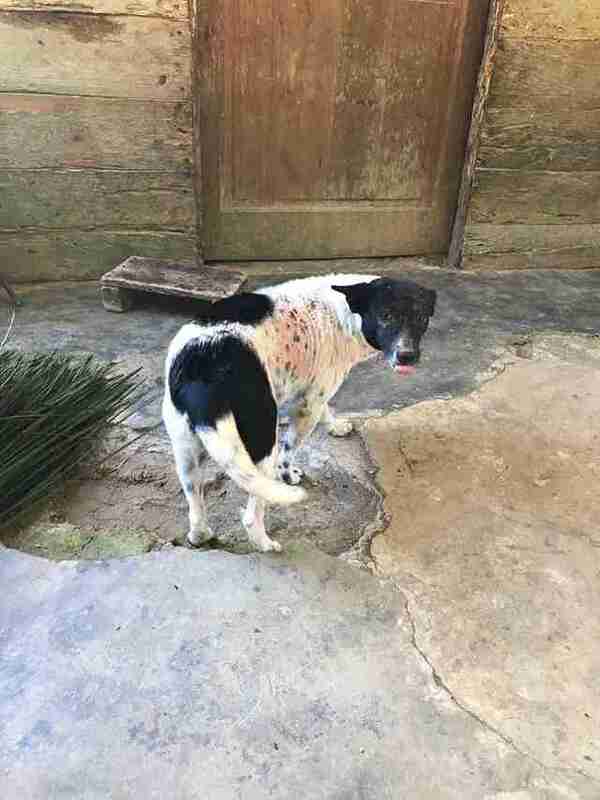 Then a friend advised John to put engine oil on Koncel’s skin — there’s a local belief that this heals dogs’ skin infections. But this didn’t help either. In July, Koncel finally got the help she needed. Team members from Stay Wild, a group that helps wild and domestic animals in Sumatra, visited John’s village and John asked them for help. The Stay Wild team diagnosed Koncel with mange, a condition caused by mites that burrow into a dog’s skin, and they gave her the right medication. They also discovered that Koncel was riddled with fleas and worms, so they treated her for this as well. Two months later, Koncel looks like a completely different dog. A thick, glossy coat of black and white fur has grown in, and she’s regained her energy and vitality. 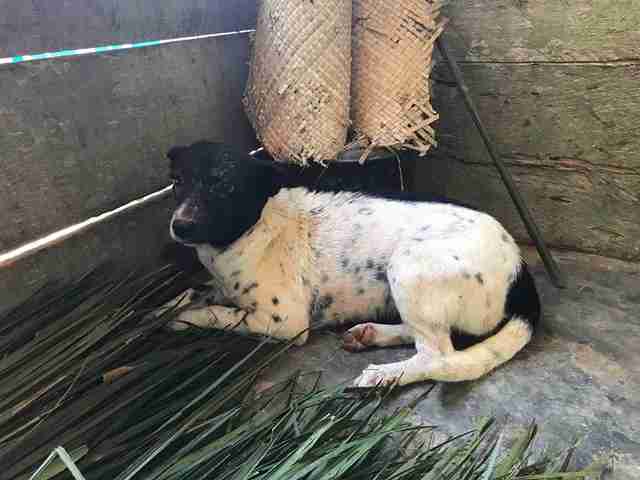 The Stay Wild team plans to help many more dogs in villages throughout Sumatra, who suffer from medical issues that can be easily treated with modern medicine. To help make this happen, you can make a donation to Stay Wild.